As the weather heats up, the bees get busy. We’re all hoping for a great season. But the hotter weather also brings with it possible bee pests including small hive beetle, especially if you’re beekeeping in wam-temperate Australia. Here’s some tips for dealing with small hive beetle, naturally. 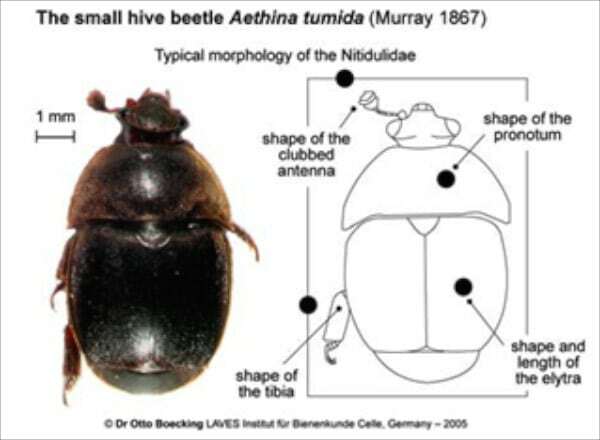 Small hive beetle was first detected in Australia in 2002 in the Hawkesbury, and since then it’s spread across Australian honeybee populations wherever conditions are hot and humid in Summer. Life cycle: The beetles fly into the hive and lay their eggs wherever they can in empty comb (or sometimes capped brood) that is unguarded. The beetles are VERY good at hiding in corners and crevices within the hive to prevent being harassed by the bees. The eggs then hatch in the comb and the larvae feed on the hive’s honey, before crawling out of the hive to pupate in the ground nearby. The new beetles then hatch out of the ground, and fly back into the hive (or fly off to another hive) to repeat their life cycle. 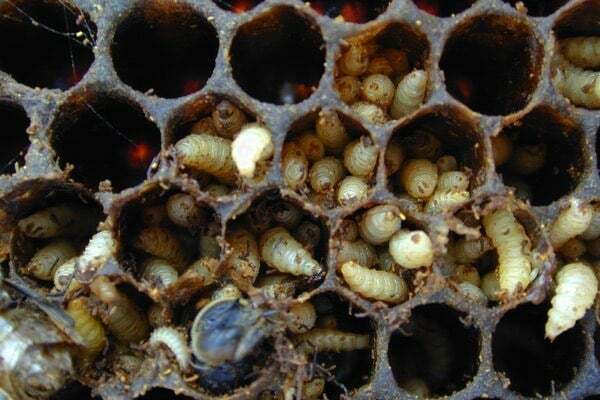 How this creates a problem: As the larvae eat the honey after they’ve hatched inside the hive, they also defecate in it, causing the honey to ferment. 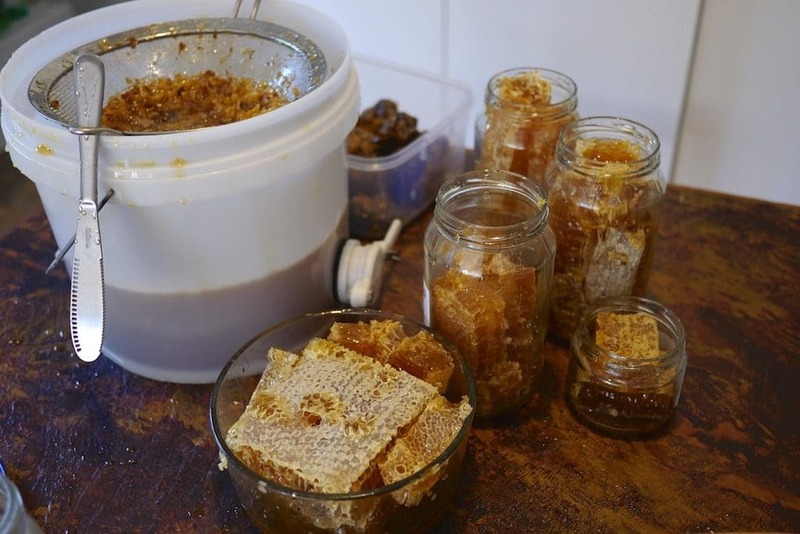 On a large scale, this can mean that combs, and sometimes whole boxes of honey, are ‘slimed out’ – the combs ooze fermenting honey that smells like rotten oranges. This sliming out of the bees honey stores is terrible for hive health, obviously, and can cause the colony to abscond in an emergency swarm, or, at worst, collapse entirely. How the bees deal with small hive beetle: honeybees can’t actually kill the beetles, but they do their best to herd them into corners into a kind of ‘beetle jail’ if they find them inside their hive. However, if there’s vast amounts of un-patrolled empty comb in their hive above the brood, the bees can only do so much. As with any pests or disease, effective hive management and design to prevent beetles making themselves at home in the first place is preferable to treating an infestation. Some of these techniques below will be able to be applied no matter what kind of hive and approach you’re using. Nadiring is the process of adding empty boxes underneath, as opposed to ontop of, your hive. Nadiring allows the colony to build fresh comb downwards as the colony expands, at a rate of it’s choosing, as the queen lays successive generations of brood. 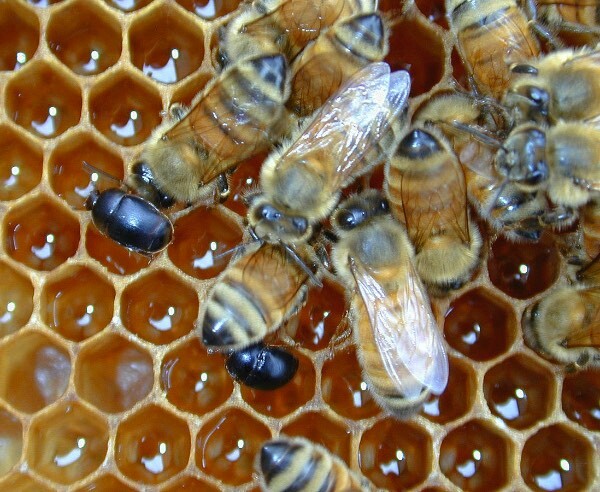 Above the brood is a ever-growing dome of pollen and capped honey. 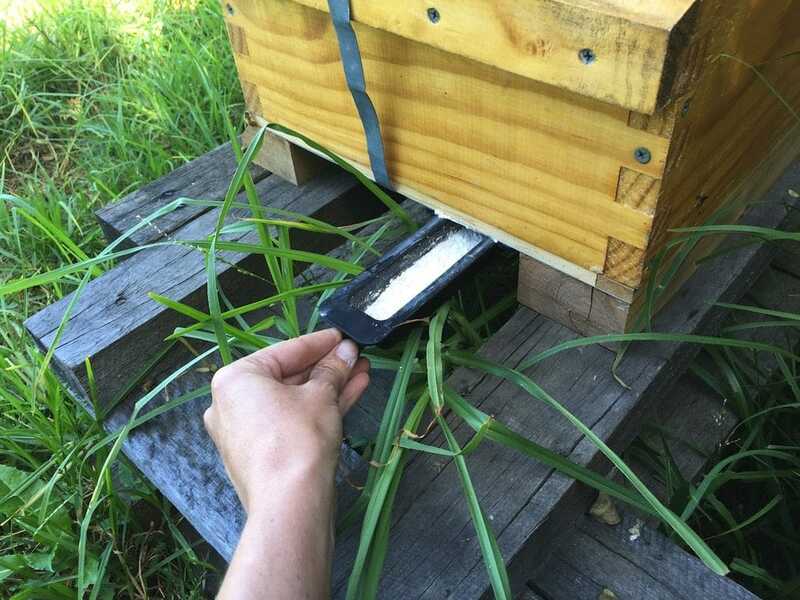 Importantly, in a naturally managed hive this means that all comb in the colony is patrolled in bees, becuase the bee-to-comb ratio is very high – especially the freshly made, empty comb. This is because when bees make comb, they cover it with their bodies – the wax comes from the underside of their abdomen. This comb stays covered by bees while the queen lays in each cell, and throughout the rearing of the brood. Once the brood hatches, the cells are immediately backfilled with pollen or nectar, and attended by bees until they are finally filled with honey and capped, at which point the bee to comb ratio falls, as the bees move down to attend to comb below. 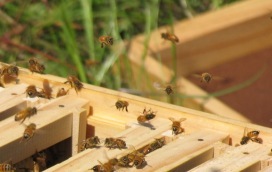 In this way, capped honeycomb is the only comb in the hive that is not heavily patrolled by bees. And so if all the empty comb in a healthy colony is bee covered comb, there’s literally no un-patrolled empty comb for small hive beetles to lay in. This is a small, but hugely important, point. Because empty comb is the breeding ground for small hive beetle. By minimising the amount of un-patrolled empty comb in a hive (which happens in conventional beekeeping when boxes of empty comb are ‘supered’ – added above the brood of a colony, for the bees to fill with honey), we can reduce the bees potential disease loading considerably. 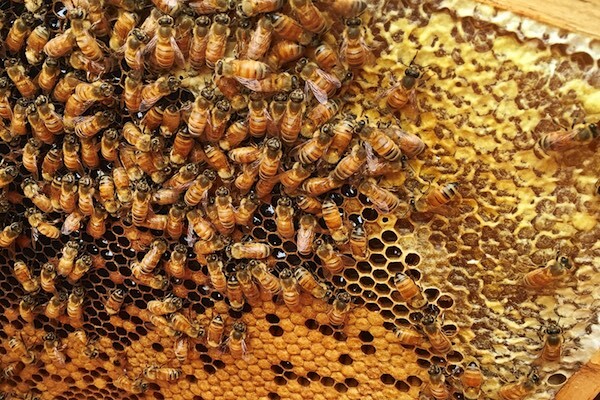 Queens that are mated naturally with the local drone population bring back to the hive a range of proven, locally resilient and adapted genetics to populate their hive with. In Australia our feral bee population is massive, and this means that most virgin queens that fly out to mate with local drones will mate with some ‘bush bees’ from tree hollow colonies in the nearest forest. These bush colonies represent the local bee genetics that are most adapted to whatever the local pests are, including small hive beetle, by the simple fact that they’re un-managed colonies. And so natural selection has produced the most resilient local strain of healthy bees you could hope for. 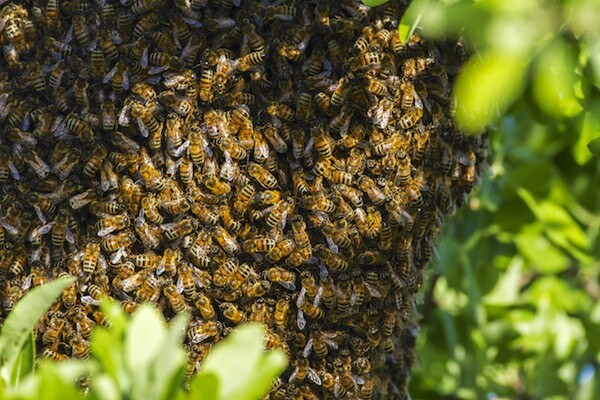 A note that if you have a hive that swarms, the colony that you are left with in that hive will produce a new, virgin queen, as the swarm takes the old queen with it. This means an opportunity to get some excellent local genetics into your left-behind colony, as the virgin queen mates with local drones and brings those new, resilient genetics back to your hive. The above attitude is quite different to the conventional practice of queen breeding and ‘requeening’ which involves purchasing an already inseminated queen to introduce to a new colony. 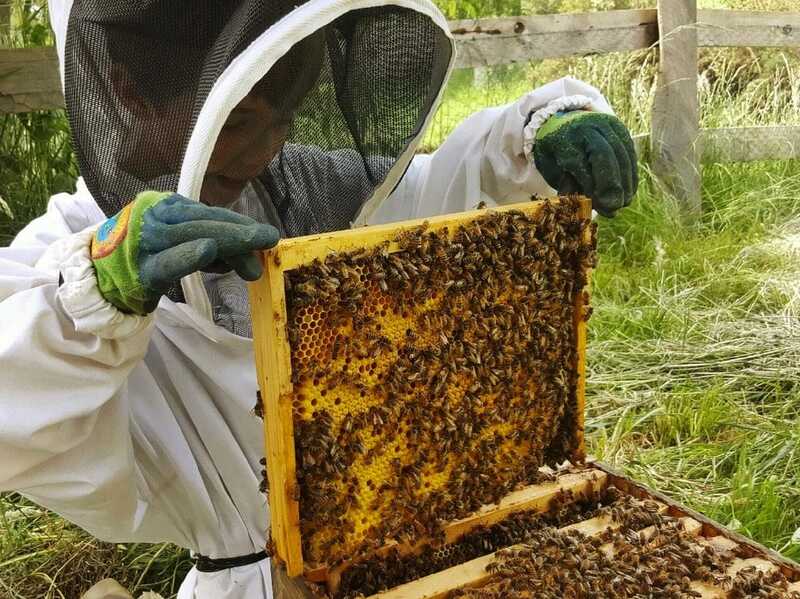 This queen will bring with her selected genetic traits that generally focus on maximizing honey yield, but won’t contain locally-adapted ‘wild’ genetics for disease resilience, or many other important factors inherent to bee-centric beekeeping. If you’re starting off a hive, populating it with a local swarm is a great way to get a locally adapted colony AND relatively disease and pest-free bees. When bees swarm, they take nothing with them except their queen and the honey in their bellies. No comb leaves the hive with these bees, and so they leave many potential problems behind, including large populations of small hive beetle (though sometimes a few beetles can travel with a swarm). By populating a new hive with a local swarm, you get healthy, clean bees, and a chance to re-set your hive management techniques if need be. Tips for catching a swarm. Studies have shown that Small hive beetle can smell a honeybee colony’s distress pheromones from an astounding 10km away. And they come running (or flying, actually) to make the most of that disruption. 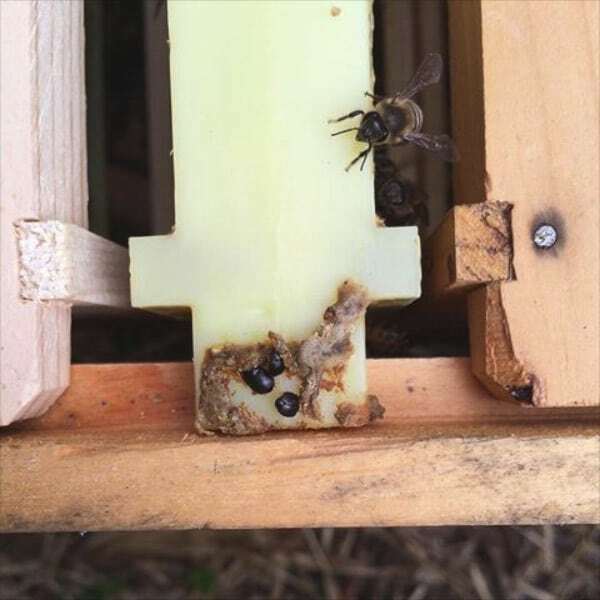 Stressed hives are perfect for small hive beetle to invade – the bees are dealing with other issues, the laying / filling of the comb may be out of whack, so the patrolling of the comb may be not ideal, and it’s the perfect opportunity for the beetle to lay where they won’t be annoyed. 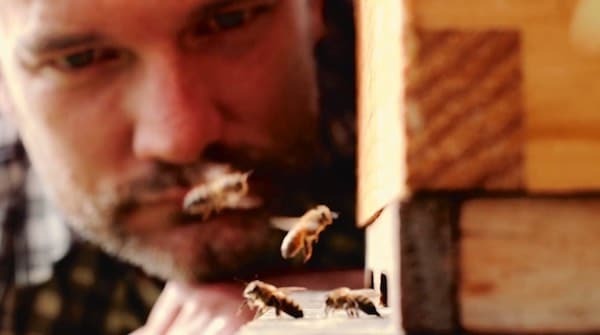 Every time a hive is opened from the top, the nest scent is released and, if the bees are stressed or sick, this means a huge release of stress pheromones – out of the hive entrace and into the air. By minimising hive openings (2-3 times a season is plenty if you do your research and know what you’re doing), we can minimise the release of these alarm pheromones. Choosing a good day to open your hives is also important. Opening your hives when it’s cold, or windy, or wet, is a fast-track recipe for cranky, stressed bees. If the weather is wrong, wait. Put the bees needs before your own convenience. An ideal hive opening would be mid-morning on a calm day, with an air temperature of 27ºc or thereabouts.Yes, things aren’t always perfect, but the more thought you can put into your hive openings, the better for the bees, and their hive health. 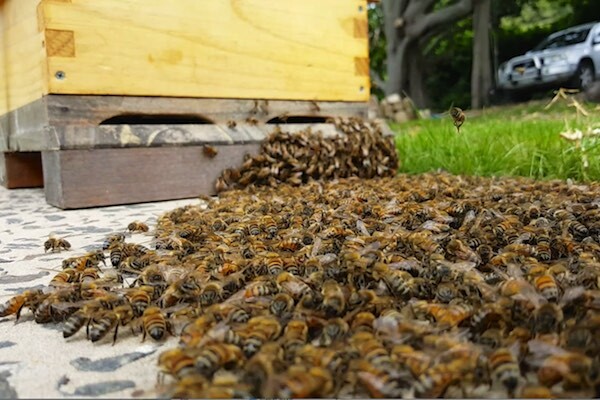 Waiting for an ideal day minimises the impact of a hive opening on the bees – the foraging bees will all be out in the environment already, and if the temperature is good, the impact on the brood, and the bees stress levels, will all be minimal. 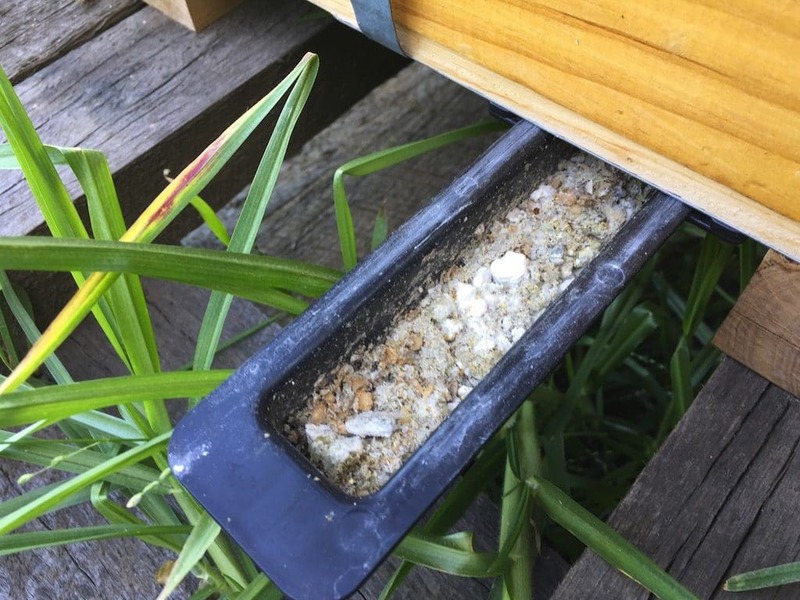 Nadiring also helps with minimal intervention – by using nadiring when the bees need more space – which happens a few times a season in Australia, especially on a honeyflow – we can add space to the hive via the bottom, without opening it at the top. Another way to minimise intervention. Siting your hive or hives well is very important for colony health, and this in turn will make a big difference to their disease and pest loadings. 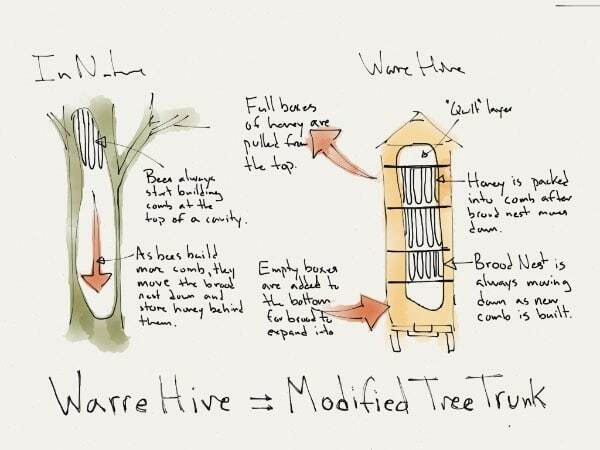 A hive that is warm in the morning sun and cool in the afternoon shade, up off the ground and always dry, protected from flying soccerballs, curious cows, and other disasters, and sited somewhere with ample, year-round forage in the hive’s 8km radius, will go a long way towards being a healthy, happy hive. Tips on selecting a site for your hive. Siting your hive in your chicken run, if you live in a small hive beetle-prone area such as the Sydney basin, is another great idea. 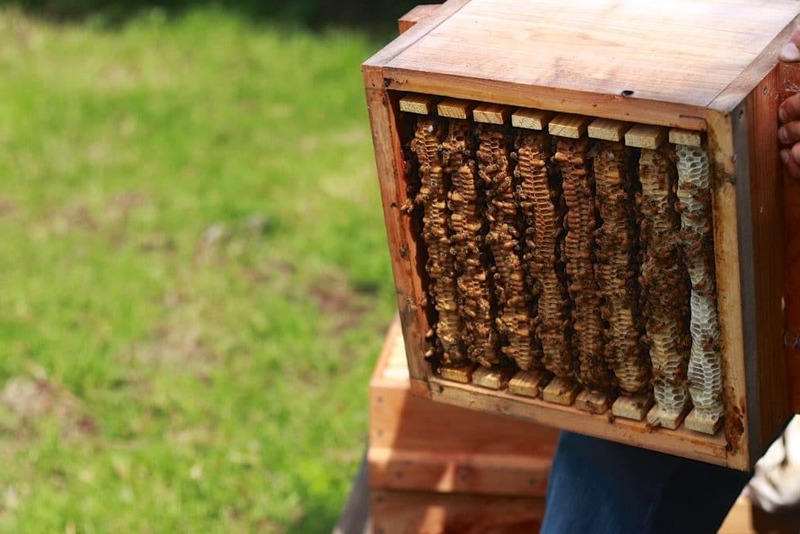 Because part of the beetle’s life cycle is outside the hive, pupating in the ground, having your hive somewhere near your chickens can lead to a great symbiotic relationship – extra wormy and beetle snacks for chickens, and a healthy hive of bees. Tips on siting your beehive in your chicken run. In some areas that are particularly prone to small hive beetle, your hive may have a few beetle in it, no matter what. This is not a disaster, but does require you to actively manage the issue if you want healthy bees using natural beekeeping principles. As said above, the best way to manage small hive beetle is external to the hive, with good beekeeping practice. Sometimes, though, in-hive management is necessary. Beetles hate sunlight – remember this point, and use it to your advantage. Beetle base: one of the best ways to manage small hive beetle is with a beetle base on your hive. This is a non-toxic way to catch and kill some or most of the beetles without affecting your bees. 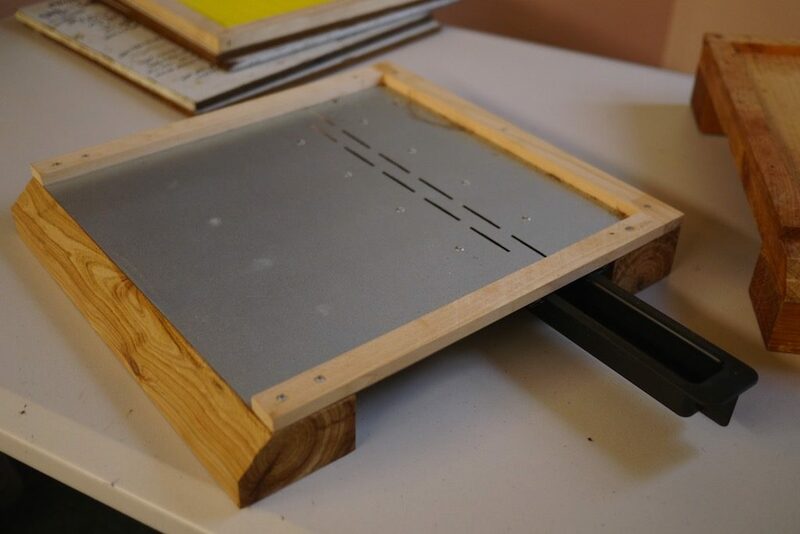 The beetle bases are metal and have slots at the back of the base, with a trap underneath the slots. Into this trap you can put builders lime, or oil if you prefer. The trap slides in from the outside of the hive. Ok so beetle flies into beehive. As beetle hates sunlight, the first thing it does is quickly crawl to the back of the hive base, where it then hopefully falls through the slots and into your trap. And that’s the end of that beetle. Huzzah. The trap can be regularly checked and cleaned from outside the hive, which means you don’t need to open the hive to check, or replenish, your trap. 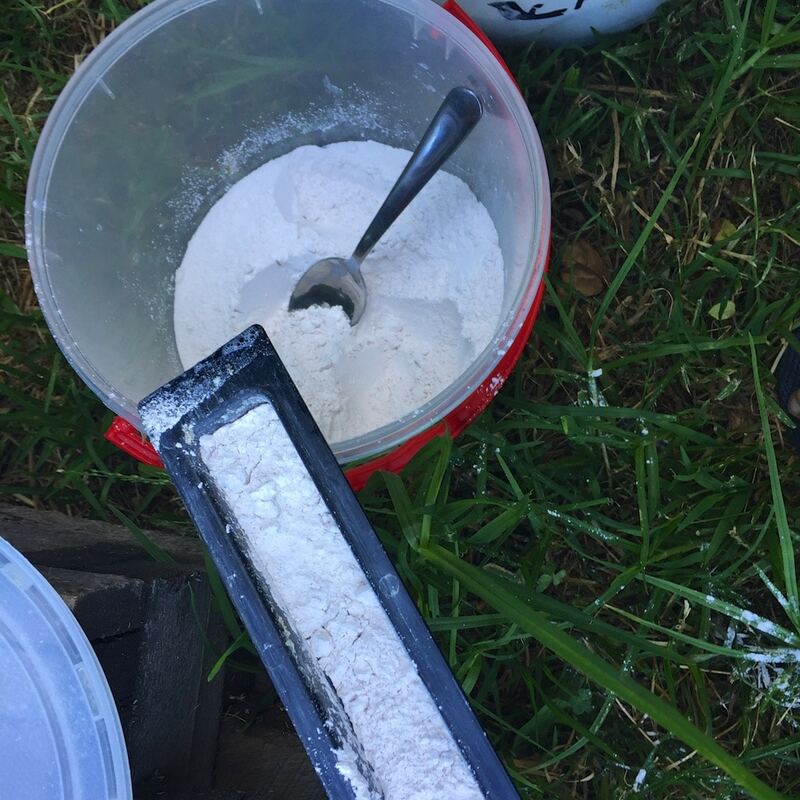 When we lived in ‘beetle territory’ we used builders lime in our traps, checking them regularly and stirring the lime with a stick to break it up. We replaced the lime once every few months. An extension to this same idea, if you’ve noticed beetle numbers building in your hive, to open the top of your hive briefly, just for a minute or two, and puff a few puffs of smoke into the hive. The sudden sunlight and smoke will push the beetles down into the hive, hopefully down to the bottom, and into your trap. Other beetle traps: there’s other beetle traps too – some slide into the bottom of the hive (there’s a model of this type called ‘Die Ya Bastards’ – true story, you can get it from Tobins beekeeping supplies in Bathurst), and there’s also some traps that hang up in the comb. Obviously any hanging traps need regular hive opening to remove / check the traps, which is not ideal. Chemical traps: we would not recommend these. Bees are already dealing with a wide range of environmental chemicals, and we would not advocate any toxic chemicals, of any type, inside their hives. Most Australian chemical beetle traps contain Fipronil as the active ingredient, a toxin that is banned in Europe due to its detrimental effects on bees (Fipronil has been implicated in Colony Collapse Disorder, etc) and should not be anywhere near bees or their honey stores. Other than dealing directly with beetles, your best bet for management is to use the prevention techniques above to ensure you don’t make things worse – especially the minimal intervention principle. Do the best with what you’ve got. Last of all, do all the research you possibly can, and join your local bee club! It’s full of knowledge (yes, some may be on a very different page from you, but still), resources, support, and other people that really love bees. Notification: Small hive beetle is a notifiable pest in both NSW and VIC. Thanks to Tim Malfroy for his considerable insights on this topic. yes some beetle can travel with a swarm, that’s quite common. But the bees won’t be infested with them, the way a packaged colony can be. Well done on catching a swarm! Thank you Kirsten – it was amazing! I still smile when I think about it!! I was really surprised to learn about beetles travelling with a swarm though – and I’m so glad we saw them early enough to jump in and do something about them. A few quick points. The active ingredient in Apithor is Fipronil, which is banned in Europe for detrimental effects on bee colonies (it is highly toxic to honeybees). SHB larvae can crawl up to 100m away from hives so a concrete slab will have minimal impact. Adult beetle fly for km’s and straight into your hive, so it is best to just keep an eye on the bee-to-comb ratio. The flow frames are a great place for SHB to hang out in. Thanks Tim – yes I do worry about the chemicals, so I hope my little colony hurries up and multiplies! Once they’re a bit stronger I plan to remove the trap. I don’t have the flow super on yet, and the bees are doing pretty well – I put empty frames in the brood box and they’ve built a massive amount of comb and there are lots of capped brood cells! (this is why I have high hopes that they will multiply pretty quickly). As for the concrete slab, we just have to do the best we can! I’m so glad to read this! Am proud to say I have done most of the tips above (and I really had no idea what I was doing).. I also caught a swarm. 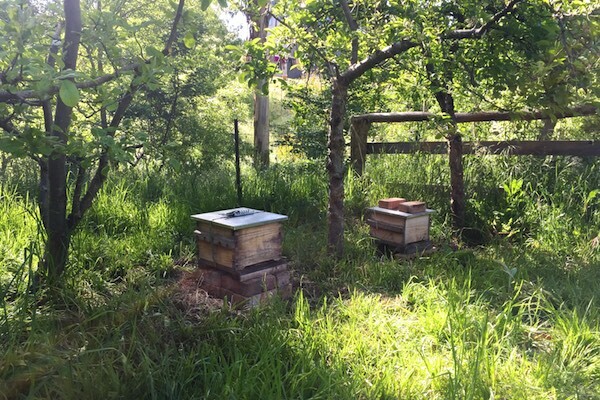 Haven’t disturbed the bees yet, as I was waiting for better conditions (and new gear) – but it is next to my chook pen, facing the North-East with the pen at its back for afternoon shade and flower / herbs are within their front door on a concrete base. Hopefully when I get a chance to check them out, they have started making some new members of their hive! What a fabulous article, thanks very much for this. It’s always a highlight when I see a milkwood post in my feed reader! I can definitely attest to the benefits of having hives in the chook run to break the cycle of Small Hive Beetle. In year 1 of keeping bees I got a little beetle infestation, then after squashing the beetles I could see and extending the chook run into the bee yard I’ve had no more issues. I’ve got Top Bar Hives, and I believe the oil trap at the base of the hive (eg. 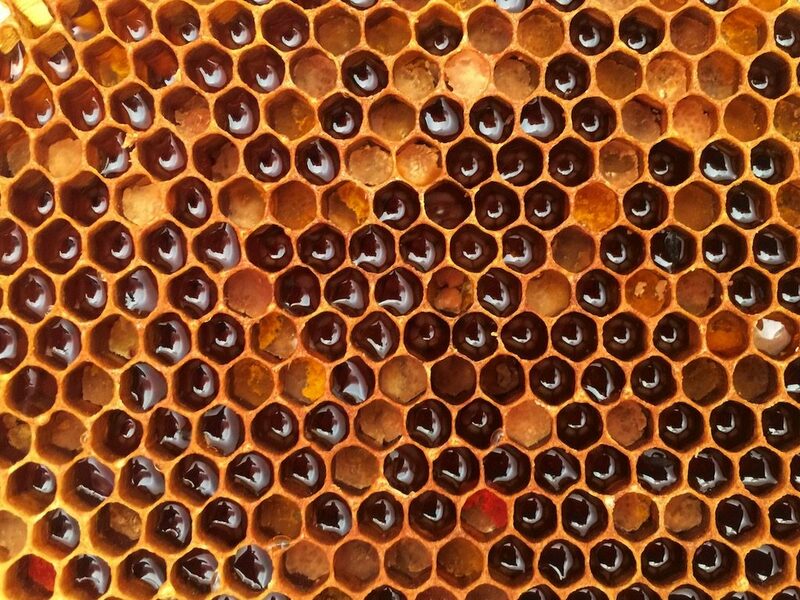 like this: http://oxenfordhoney.com/beetletrap.html) have been proven to work in Top Bar Hives too. 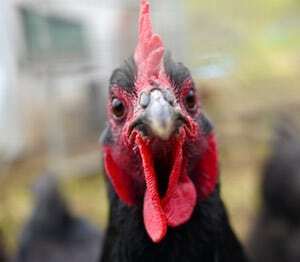 Will need to try this on a couple of my bee yards that don’t have ready access to chooks! The eco floor concept would create a perfect breeding ground for SHB. Bad idea. Honeybees nests in the wild do not contain huge amounts of decomposing wood material – in fact, swarms remove loose wood and debris from inside tree hollows when they move in and coat the interior with propolis. In my (horizontal) top bar hives I do nothing except squash them during routine work. I haven’t lost a mature colony in the 6 years I’ve been keeping them, in SEQ.